A study published in the Journal of Upper Cervical Chiropractic Research on July 22, 2013, documents the case of a 75-year-old woman suffering from migraines who was helped with chiropractic care. 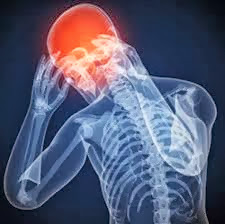 The Journal study reports that, "Migraine headaches are common and disabling, with an estimated 35 million US citizens experiencing a migraine in 2005." A review of medical sources on migraines shows that the medical profession does not have an understanding as to the cause of migraines, and their only treatment is medication in an attempt to alleviate the pain. However, the authors of this study suggest that, "Many investigations suggest that chiropractic care may be of benefit to patients suffering with headaches including migraines." In this case, a 75-year-old woman presented herself to the chiropractor with migraines. She had been diagnosed with migraines as a teenager and suffered with them ever since. She had never been to a chiropractor prior to this time as reported in this case study. The woman reported that her migraine headaches were rated about an 8 out of 10, with 10 being the worst. She had taken numerous pain killers and anti-inflammatories in an attempt to help the problem. The chiropractic examination and analysis including x-rays led to the conclusion that there was a subluxation at the upper neck known as the atlas. Based on this information, a specific form of upper neck adjustments was initiated to correct the subluxation in the upper cervical area of the neck. The case study notes that after 10 weeks of care, the patient's migraines reduced from an 8 out of 10, to a 3 out of 10. The improvement was verified by examination procedures as well as by her medical physician. The study authors reported, "Upon re-evaluation with the patient’s medical doctor, the patient stated an improvement in the overall frequency and duration of migraines, as well as a reduction of her medications, but the exact dosages was not given."